dressed up like a lady: A few minutes of light left! A few minutes of light left! We were lucky to get these shots just MOMENTS before the sun went down -- which happens earlier and earlier these days. Additionally, it's getting colder and colder, so I thought it was only fair to show how I wore this outfit whenever I wasn't in a particularly well heated room: covered in a thrifted wool duster. Good luck on your big show! 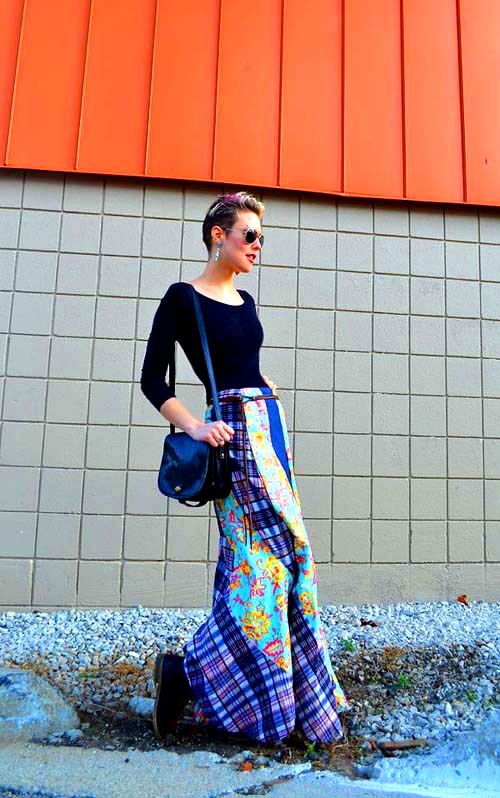 that maxi skirt is really something awesome! love your style!